On Saturday, 10 June 2017, Elissa and I had a lovely time with our children’s entertainment and activity provider industry peers at the 2017 National What’s On 4 Kids Conference and Awards. The guest speakers at the conference taught us a lot about our industry and all the different ways we can share our services with parents and teachers. 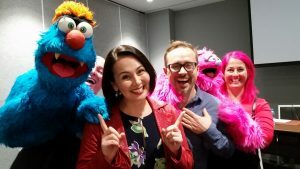 We even got to meet TV stars Tina Harris and Mark Harris from Lah-Lah’s Big Live Band – as seen nationally on ABC Kids, Channel Seven and Nick Jr. The awards night was a fun gala dinner where we recognised all the entertainers and activity providers around Australia who are doing great things for kids. We were a finalist in the ‘Best Party Entertainment’ category. To be a finalist is a big deal in itself! And while other categories all had five finalists, ours had seven! A huge congratulations to the winning finalist Kids Disco Parties. 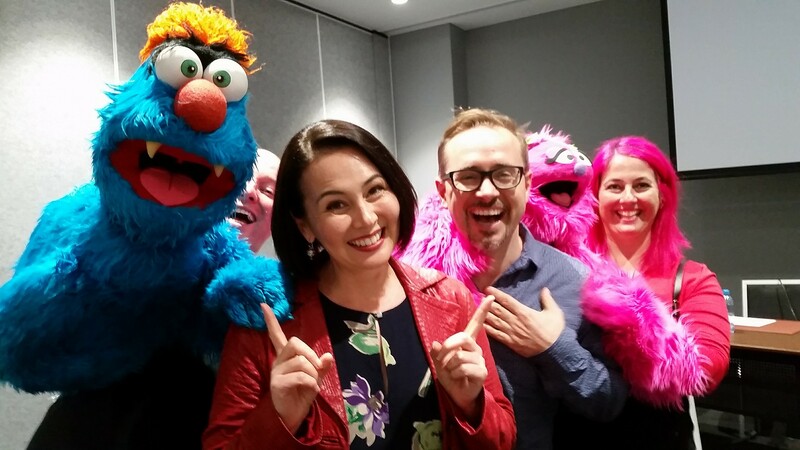 They provide kids around Melbourne with awesome dance parties at schools and birthday events each week! 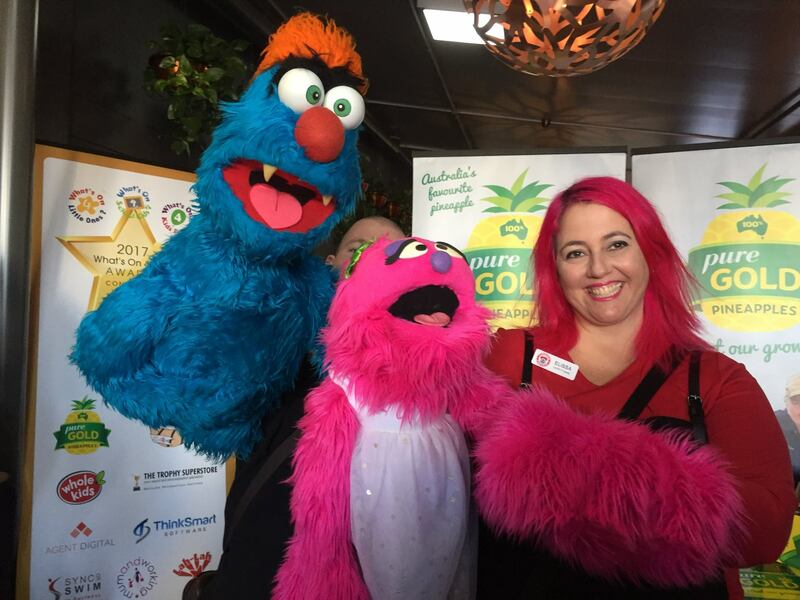 We brought Troggg and Flossy along to bring lots of smiles and laughter to everybody in attendance at both the conference and the awards, and received a lot of very nice compliments, and posed in a lot of photos and selfies with everybody. It was a very fun weekend at the Hotel Grand Chancellor in Brisbane. 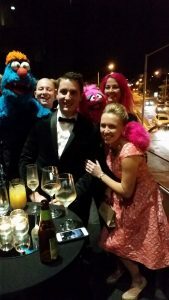 This entry was posted in 2017, Awards, Awards night, Brett Hansen, Brisbane, Brisbane entertainment, children's entertainment, Conference, Elissa Jenkins, Flossy, Hotel Grand Chancellor, Kids Disco Parties, Lah-Lah's Big Live Band, Larrikin Puppets, Larrikin Puppets News, Pevan and Sarah, Pintacrafts, Puppet Shows, Puppeteer, Puppetry, QLD, Queensland, Spring Hill, Troggg, What's On 4, What's On 4 Kids, What's On 4 Kids Awards, What's On 4 Kids Conference, Winner by Brett. Bookmark the permalink.